Add grace and charm towards the look in this beige colored straight cut georgette salwar suit showcased by Prachi Desai. 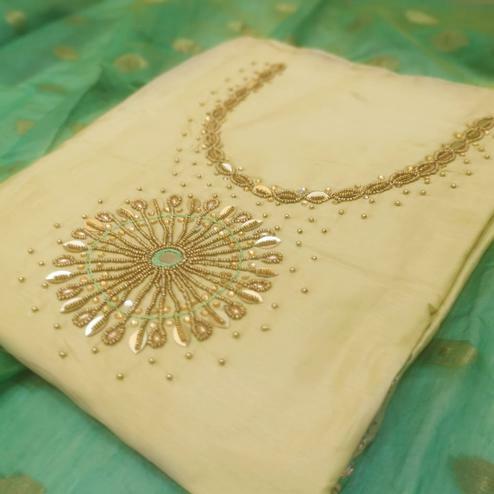 The suit is beautified with heavy embroidery all over which is eye catching. 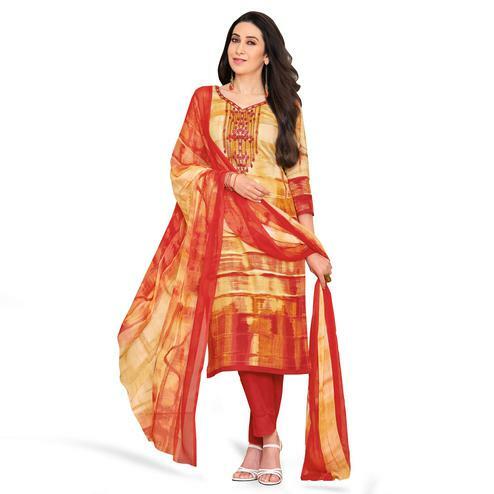 Comes with matching santoon lining and bottom along with beautiful printed chiffon dupatta to complete the look. Women can buy this ethnic dress to wear for their upcoming functions and occasions. Team it with ethnic accessories to make your looks more beautiful.